A customer relationship manager is one of the most basic requirements for any business to function smoothly. So, it would be much better to have something that small businesses can also use as they don’t have much monetary freedom. That’s where open source software comes in. SuiteCRM, born out of Sugar CRM, is the best open source CRM available in the market. First and foremost, it is available at no cost. Another neat feature is that you can access the source code of Suite CRM. So, you can tweak to suit your needs. The open source community is very active and they come up with the necessary features when demand for them rises and in turn, Suite comes out with regular updates by bundling a few of the new features or fixing bugs, every time. The latest major update that SuiteCRM has come up with is SuiteCRM 7.11. Google calendar is perhaps the most popular and simple calendar available in the market. Not to mention how perfectly it integrates with other Google products. The calendar is available on multiple platforms and is user-friendly. SuiteCRM now has bidirectional synchronization with Google calendar. This means that when you add an event or meeting in one software, it reflects in both. Users can simply authenticate this integration with their Google accounts and it will be good to go. It’s a great feature because once the API is set up; the user doesn’t need to access SuiteCRM every time they want to create an event, they can easily do it from Google Calendar or vice versa. All SuiteCRM 7.11 users will get the benefit of using Elasticsearch. Those of you who are not familiar with it, Elasticsearch is an indexing engine that is able to provide real-time search results, making it very useful to use with your CRM. It was a much-awaited feature for the SuiteCRM users. Apart from Elasticsearch, users will also be able to configure any search engine they want. It will not be limited to the default search engine or Elasticsearch. Apart from these changes, there are of course a number of little changes in SuiteCRM 7.11 update. Every little bug fix is done to enhance the usability of the CRM and to make a great CRM even better. At the end of the day, the whole point of a Customer Relationship Management tool is to be able to make it easier for the user to get most things done, without any unnecessary hassle. SuiteCRM offers all the necessary tools that a business requires, no matter the scale of the business. It has great features that make it simple to promote your products to the right customers, and to keep track of all reports regarding the sales cycle. It also has features where you can get specific data regarding a specific group of customers. This makes it easier to track what products are in demand in which markets or what markets have what types of demands. A good CRM goes a long way in helping your business run smoothly. It handles a whole lot of functions automatically or with just a few clicks. Running out of stock in the warehouse? Order it right from your CRM! And what makes this even better is that SuiteCRM is mobile responsive (7.2 and above), so you don’t even have to be at a computer to carry out such simple tasks. 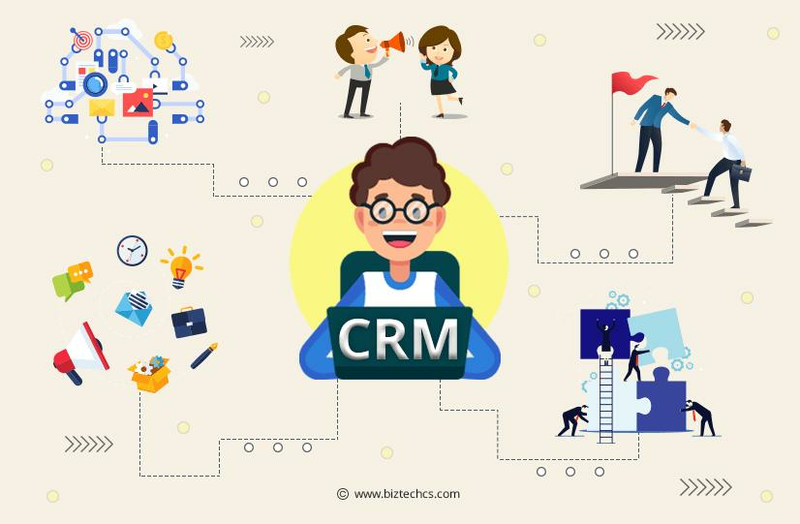 With regular SuiteCRM development updates, access to the source code, and its user-friendliness, SuiteCRM is the best option for your start-up or your well-established large-scale business. The fact that it has the support of the open source SuiteCRM development community is helpful. Good, free, open source platform bridges the gap between businesses that have plenty of money to spend and small, growing businesses. Growing businesses can always opt for SuiteCRM development services from their verified development partners and small businesses can benefit from the open source community. Makes up to a win-win situation.